Being over 65 years and living in India is an increasingly common phenomenon. 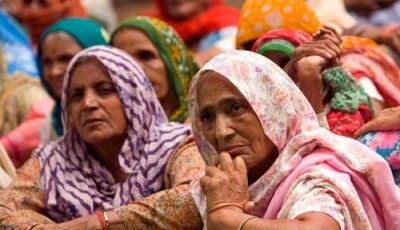 The Indian population over 65 years is steadily on the rise, totaling to a whopping 90 million people in 2011. Estimates suggest that this number will exceed 227 million by 2050. Within this giant aging population, there is a unique sub-section of disadvantaged people who are women. Women in India live longer than men, but consistently report poor health, higher disabilities, lower cognitive function and lower utilization of health services. A study in 2008 showed wide health disparities between elderly men and women. Even after controlling for demographics, medical conditions and known risk factors, the gap still existed. Controlling for economic independence, however, reduced the gaps significantly. This emphasizes the necessity for financial empowerment among older women for them to enjoy a healthier life. Financial empowerment may be the key to improving health outcomes of elderly women. However, the barriers of gender discrimination and poor education are hard to overcome. The Longitudinal Aging Study in India (LASI), the first of its kind in the country, found that elderly women have lower cognitive function than elderly men, and linked this discrepancy to gender discrimination. This study was conducted in two southern states, Karnataka and Kerala, and two northern states, Rajasthan and Punjab. In the southern states, the gender difference was accounted for by poorer education, health and social engagements. However, the disparity in the two northern states existed even after controlling for these known risk factors, indicating a high level of discrimination against women. Gender bias is evident in all life stages of a woman – female infanticide, poor education facilities, dowry practices, stereotypical roles of women as home-makers and discrimination against widows. It is exceptionally hard for elderly women to have good health and quality of life. Stigma needs to the fought at the grassroots level. The existing government initiatives for the girl child are commendable, but they do little for the current generation of elderly women who continue to face discrimination, poor health, poor education and economic dependence. While the ongoing LASI study will continue to provide a comprehensive understanding of geriatric health in India, targeting elderly women will go a long way in improving health outcomes among the elderly population. The provision of medical, financial and social support for elderly women is empowering, and can improve their overall health and quality of life.